It is not always easy to cope with the increasing prices of groceries, and other living expenses. Trying to live a frugal life and keeping within our means was the beginning of our journey in to homesteading. 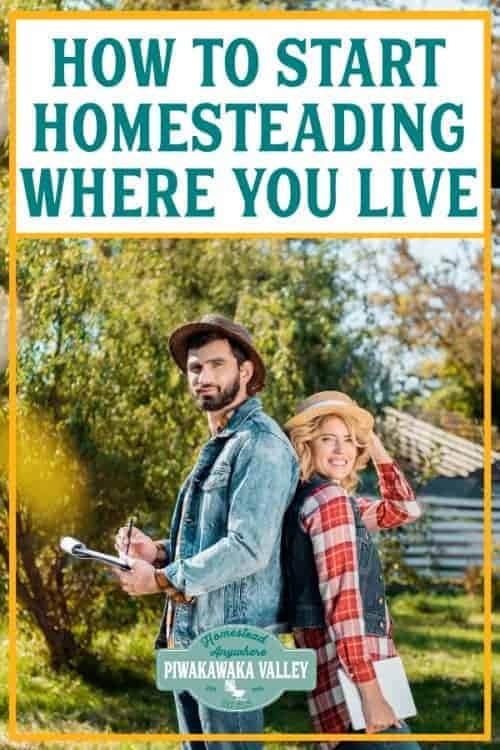 If you are finding money tight, or have lots of debt to pay off, or just want to save some money then this is the best time to cut down on some costs and think of starting a homestead. Being self-sufficient is not limited to earning money farming or doing the all daily household chores on your own by hand. 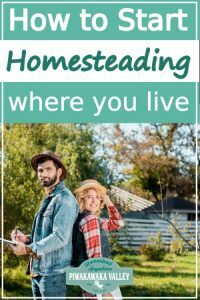 Homesteading is one of the most prominent examples of becoming as self-sufficient as you can where you live, right now. You can stay in one of the busiest streets of NY and still succeed in homesteading if you want to do so. But it is always wise to decide the location of your homestead so that you have an idea of what type of homestead you want to start. The best idea is to start homesteading where you are now. If you are broke and have the backyard to work with, you can grow lettuce and herbs by making the most of the space you have. Those who have a bigger space to work with will be able to grow veggies by raising the beds. If you have the resources and the desire to do so, you can move and find another, larger property to start your homestead on. 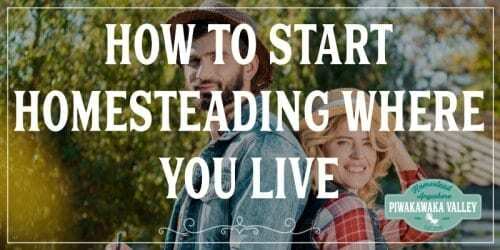 The easiest route to homesteading is if you have friends or relatives who already have a homestead. This will help you understand the process step by step. There are numerous books to read and videos to watch but most importantly, you have to really research the things that you will be wanting to work with, grow or own. Homesteading can start even by keeping for eggs with a few chickens in a chicken coop in your urban backyard, or growing some vegetables on your windowsill. What is Homesteading in it’s essence? 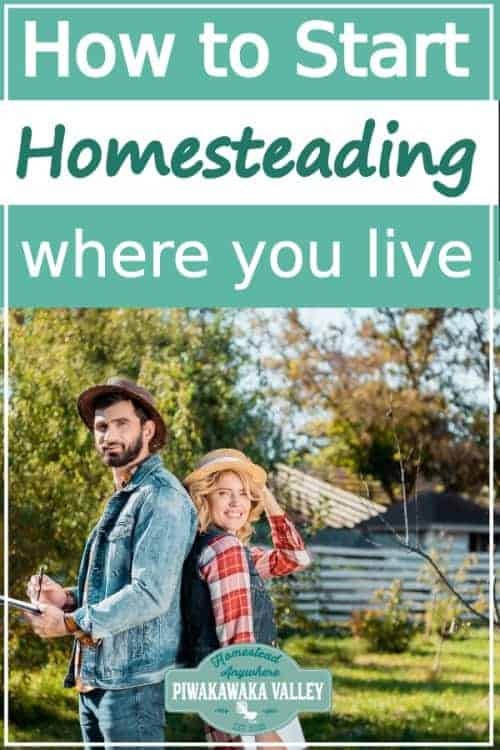 The original term of homesteading was from in the USA early days, there was so much land that you could go and plot some out, and live there independently for 5 years, then you could claim it as your own. For free. This is no longer the case, but the modern take on homesteading is gaining in popularity. The basic idea of starting a homestead is embracing sustainable living and self reliance. It is a golden opportunity to save on daily grocery bills and utilize the space you have around the house for productive purposes. As I mentioned earlier, homesteading can start with a few chickens. You can also include goats and cows depending on the space you have. Most homesteads at least have one or two varieties of animals. Chickens or meat rabbits are great places to start. Small goats, quail and other smaller animals are also good choices. RELATED: Best animals for beginners. Whichever livestock you choose, make sure there is suitable protection for them. It is possible to raise livestock animals and grow crops at the same time. But it is essential to check if the soil around the house is suitable enough for the crops that you are planning to grow. Take some samples of the soil from different areas of the land and get them tested for their fertility. Soil that is suitable for growing pretty plants and trees may not be ideal for growing your vegetable crops. Once the fertility is determined, you will have to work on improving the soil so that it becomes appropriate for cultivation and growing in. Having the land facing your midday sun’s direction will be wise as this helps growing better crops. You also need to check the land and soil for several other things like flooding, water accessibility, natural windbreaks, and drainage options. Those who are opting for both crops and livestock will have to keep the areas separate so that the goats or chickens don’t come grazing in the area where you are growing your vegetables. Water availability is very crucial for homesteading. In addition to checking the land and soil quality, you should also check if your area will be able to support the quantity of water you need every day. If there is a shortage of water, you may have to drill a well or have a pump attached to the nearby well to source water. It is easy to read about what you should do and what you shouldn’t from the internet and start planning for a homestead, dreams are easy and free right? But it is important to be realistic of your expectations. It is wise to start with tiny projects to see if the plans are working before you invest a lot of money. Start keeping eggs for a couple of months before trying something else. Or buy bulk local produce and learn how to preserve it. Grow a garden or some herbs. 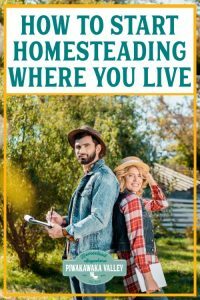 This will give a reality check on homesteading and if it is suitable for you and if at first you don’t succeed, try and try again.